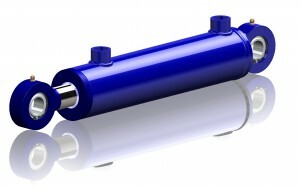 Melin & Carlsson manufactures many different variants of hydraulic cylinders. Double acting hydraulic cylinders make up the major share of our output. Double acting cylinders are used in applications where force is needed in both directions. These are used for retraction as well as extension. Spherical rod eye is the most common mounting option but we manufacture cylinders with any fastener such as rod ends, flanges or clevises.